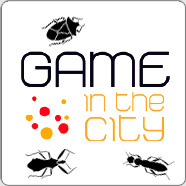 Friday the 23th of November, Vanguard Games programmer Nicolas Mercier will give a master class on creative debugging at the Game in the City event in Amersfoort, the Netherlands. Nicolas will talk about the process of debugging and fixing issues. A topic overshadowed by talks on how to avoid bugs and issues in the first place. Sadly something that more often than not turns out to be unavoidable. The Master Class starts at 13:30 hours.